This photo is from a late morning walk at the Kenauk nature reserve in Quebec north east of Montebello. Kenauk is one of North America's largest and longest-established private reserves originally granted by the King of France back in 1674! It is truly a hidden Canadian gem that boasts more than 60 lakes within its border and is the perfect example of the great Canadian wilderness. We first discovered it as part of a canoe excursion from a resort in Montebello and have been going back each year for almost a decade. 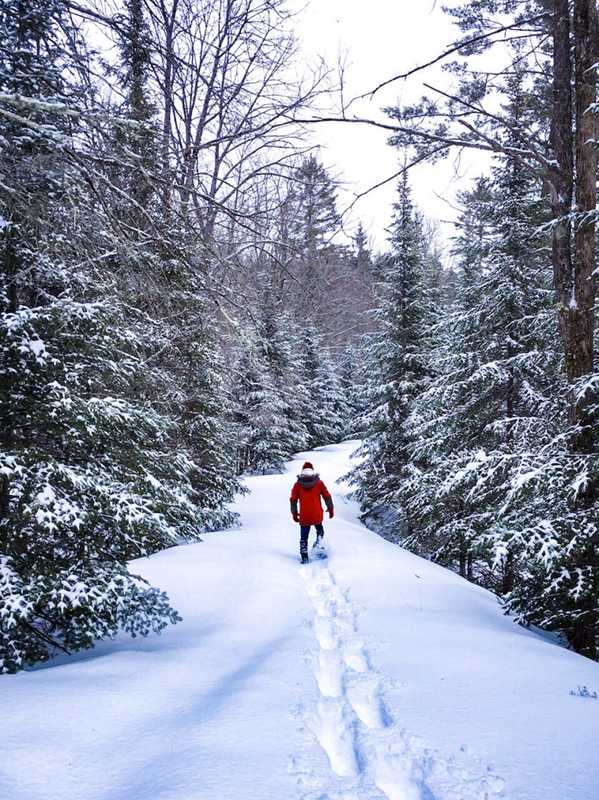 The snowshoeing was very slow going because the snow was fresh and never before walked on... you would sink in with each step. It was challenging but the silence in the forest was incredible and the feeling of walking on untouched ground was like nothing else. Even though I went with a group of friends, the tranquil forest in the winter is the best place for some personal reflection and solitude. I can't wait for this year's trip! !